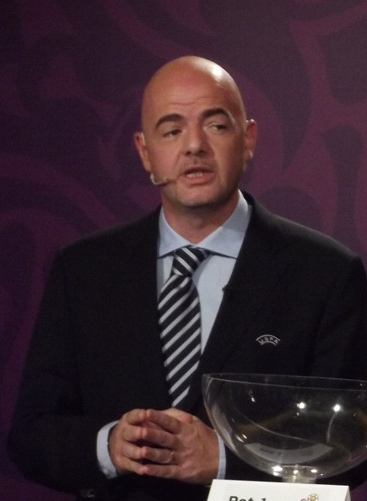 Gianni Infantino was elected to serve a three-year term as head of FIFA in February. Six Israeli teams play their home matches in West Bank settlements. The international NGO Human Rights Watch last week called on FIFA to quit sponsoring matches held by the Israel Football Association on West Bank pitches. Also, the Palestinian Football Association has accused its Israeli counterpart of violating FIFA rules by holding games without permission on the territory of another member group. A FIFA committee is set to submit recommendations on the issue by Oct. 13, when FIFA holds its executive committee meeting, and is expected to discuss the issue. Infantino told AFP that he attended a meeting on Wednesday with the commission monitoring the problems affecting the development of soccer in what he called Palestine. “I just got out of a meeting with Mr. Sexwale to try to find a solution to this issue, which should be a football question but has become a political issue for which the world has not yet found a satisfactory solution,” Infantino told AFP, referring to the head of the committee, South Africa’s Tokyo Sexwale. “We try to put politics aside and talk football and see how we can play the best conditions for football in this region.